Today here you will learn how to transfer Contacts from one Android Phone to the other Android phone. The reason you are here can be that you have shifted to a new phone. And you want to transfer all of your contacts from your old Android phone to the new Android Phone. Or you have multiple phones and you want to access Contacts from all the devices. Luckily Android has a feature to transfer contacts. 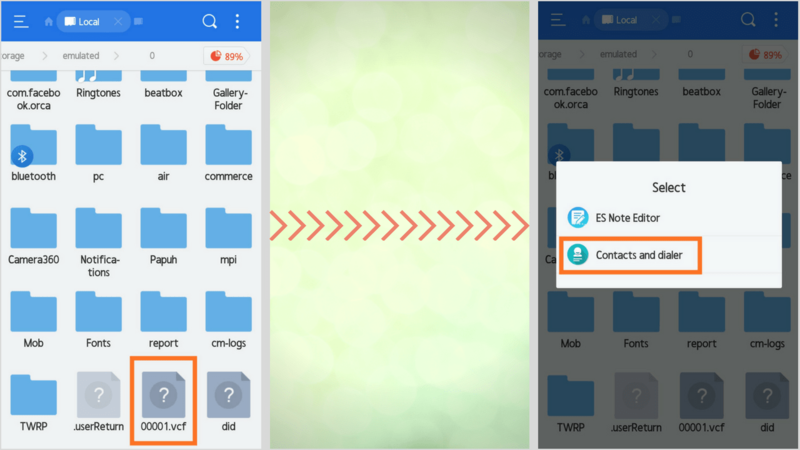 There are more than one ways to transfer contacts from Android to Android. Check out what are the methods you can follow to transfer contacts between Android phones. This is the easiest method to transfer contacts. And this option is available on all the Android phones. You can use an SD Card or other USB Storage where you can Export Contact and then Import from that SD card to the other phone. It can also be done without an SD card or USB storage. If you want to know how to transfer contacts from android to android using Bluetooth, then this is the method. Open Contacts App on Android Phone from which you want to transfer Contacts. Then Click on three dots which is mainly located at Tp right corner. Now click on settings or Import/Export (if available). In Settings Go to Import/Export Contacts. Now click on Export to storage. Remember the settings UI will be different for a different phone. But the action will be the same. Then a message will popup displaying the name and location of the file containing contacts. Click on OK. Remember the file name. The file with the .vcf extension will be saved. Now move the file to the other phone. You can use an SD card, or even transfer it via Bluetooth, or any sharing App. When you click on the file it will ask for Apps to open, select contacts. And then it will start Importing Contacts. It will take a few seconds. That’s it. Now all the contacts are transferred from one phone to the other. You can also use Email to transfer contacts from Android to Android phones. Here comes the role of the sync feature. First, you need to sync all the contacts to the Email. And then you have to log in with the same email on the other phone. Open settings and then go to Sync option. Under Sync option go to Google. Now select the email on which you want to Sync. Then mark or check the contact option. And click on Sync now. After completing the sync process move to the next step on the next phone. Log in with the same Email on the other Phone. 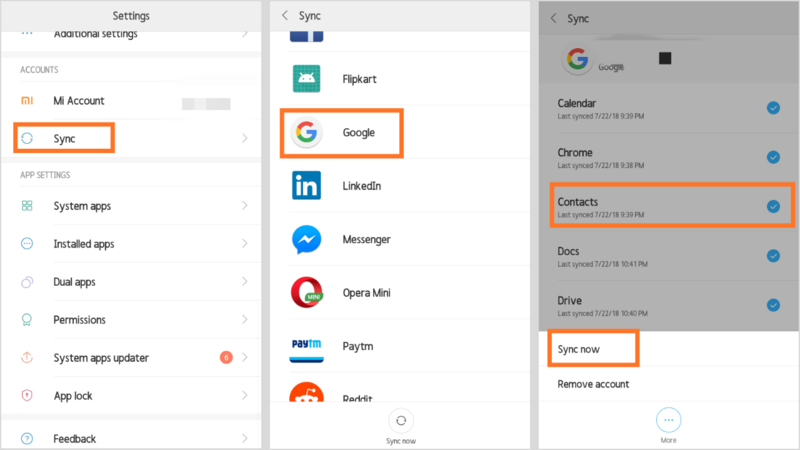 Click on sync in settings and Wait for some time and it will automatically bring all the contacts that are synced on Email. Remember Sync should be ON. If the above step doesn’t work then open Contacts App. And go to settings. Click on Import. Then it will ask from which email you want to Import contacts. Select the email and wait for Importing. This is how to transfer contacts from Android to Android using Email. You can also Import and Export contacts using SIM card. 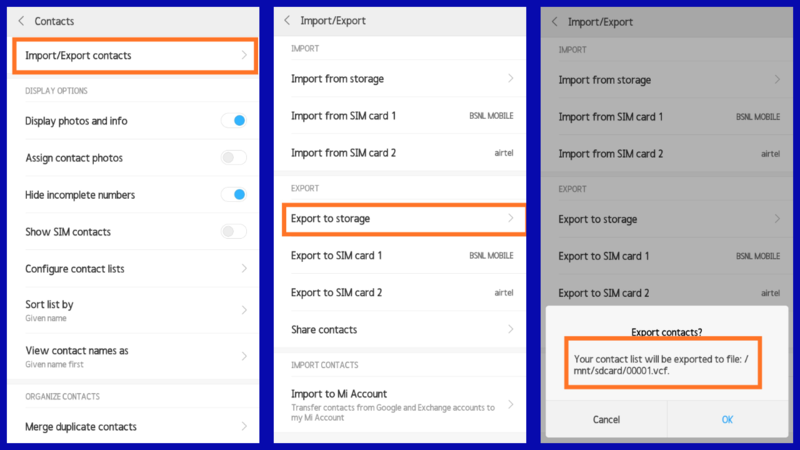 The contacts which are on the phone storage and on the other sim can be exported to another SIM card which you can insert on the other phone. This method is effective if you are also shifting a SIM card to the other Android Phone. But the SIM card has limited storage so you can only export limited contacts. Now click on Export to SIM card. After exporting contacts Insert the SIM card to the other phone. Again Go the settings in contacts and check Show SIM contacts. Now all the contact will be visible that you have exported. OR you can also import from SIM card to Email or phone Storage. This is how to transfer contacts from Android to Android via SIM card. All the methods are very easy to follow. So you can follow any of the methods you want. But remember don’t do it multiple times as it creates duplicate contacts. And the contacts will look messy. Which I don’t think you will like. So this is it in How to transfer contacts from Android to Android. I hope you have got what you were looking for. And if you encounter any issue during the transfer you can ask for a solution through facebook.